Ever have a fabric creep into your consciousness and stick there? 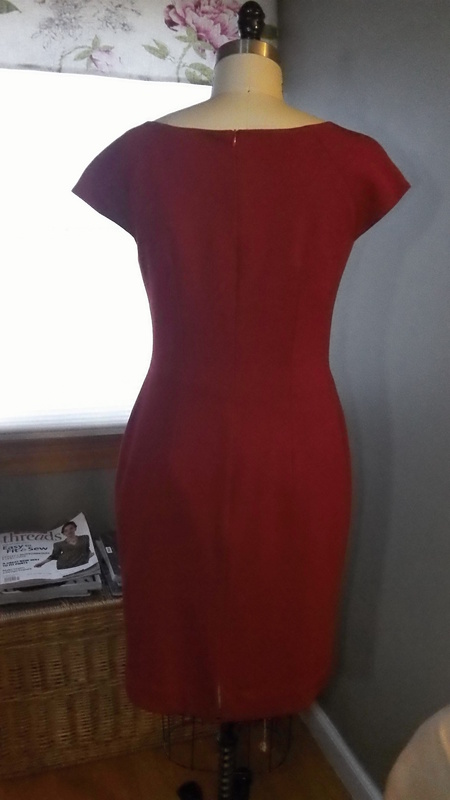 That’s what happened with a rusty-red rayon knit from Haberman Fabrics. I saw it and, more importantly, touched it on a visit to buy some lining for another project. 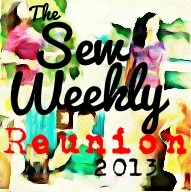 I don’t often sew with knits and didn’t buy it that day, but I kept thinking about how it looked and felt. It was so soft to the touch and such a warm color, not too bold, just right for an early fall event. Like a song that you can’t get out of your head, the fabric played over and over. Fortunately on the return trip it was still there. Checking my stash for a simple, comfortable and hopefully, flattering dress, I decided on a sheath. 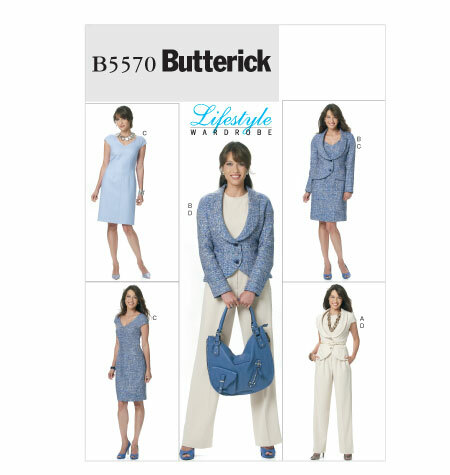 Butterick 5570, is now out of print, but still available from their website. 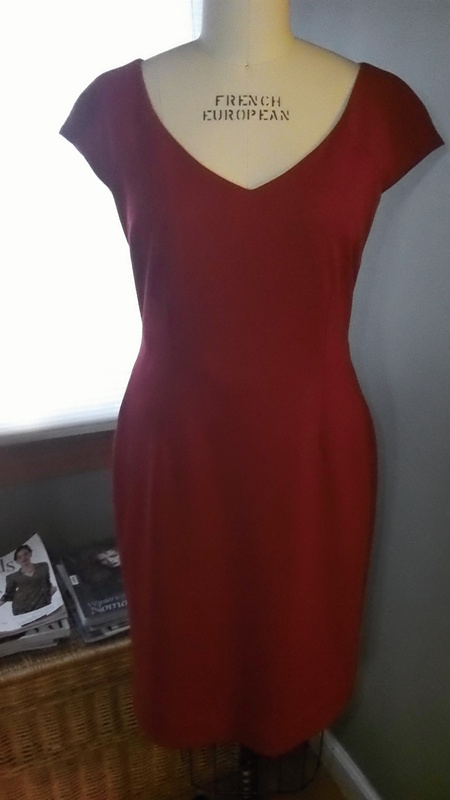 The one thing I did not like about the dress pattern was the seam down the front. It was easy to change by placing the center front on the fold and tweaking the side seams and the upper part of the darts, both back and front. I made a muslin out of some seriously ugly polyester, but it did the job. 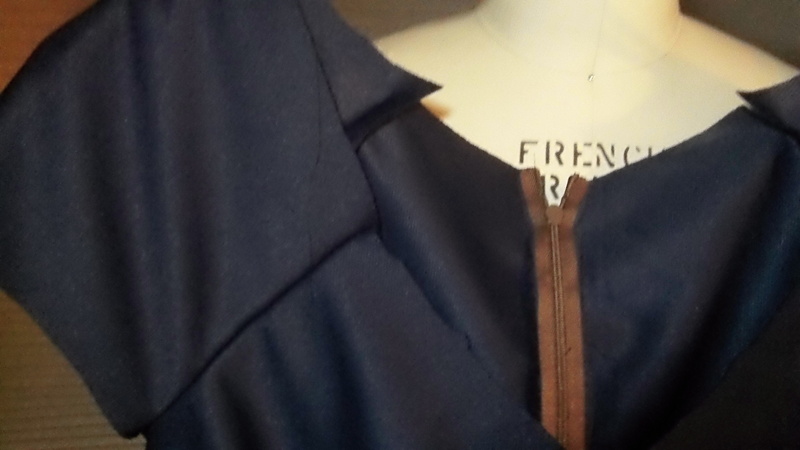 My fitting challenge is always shortening the length from the top of the shoulder to the underarm. Would that be short shoulders? Since it didn’t really need the stretch of a knit, I added a Bemberg lining, which made it less clingy and gave it some body. I wanted to be comfortable, not self-conscious. I was really happy with how it turned out and love the softness. 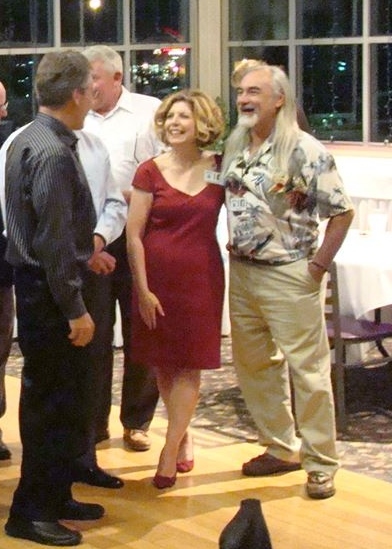 The reunion was so much fun, by the end of the night my face was sore from smiling and laughing. This is just gorgeous. I am so impressed with your fit. You look great! Thanks so much, it was a great night. You look amazing! What a fabulous dress! Thanks, it’s comfortable too. I’ve worn it a number of times since.